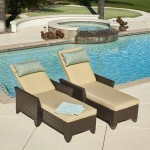 Relax in the sun on the beautiful Avalon Bay Chaise Lounge 2-pack. With full length Sunbrella® cushions and adjustable backrests, you’re sure to find a comfortable position. 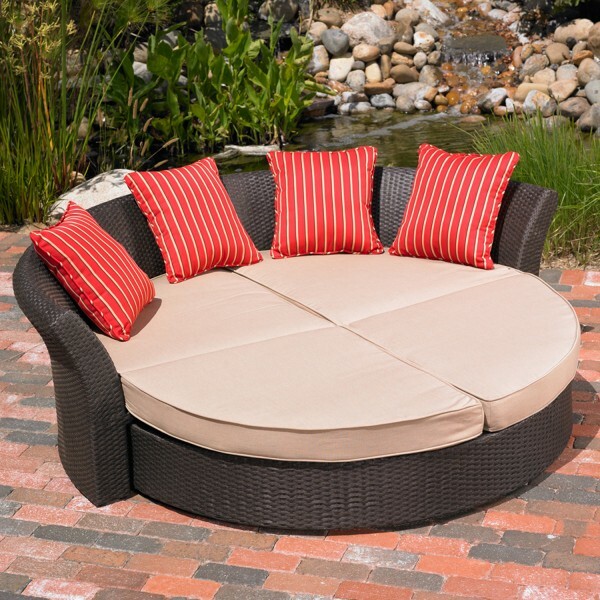 Relax with family and friends in these elegant loungers. 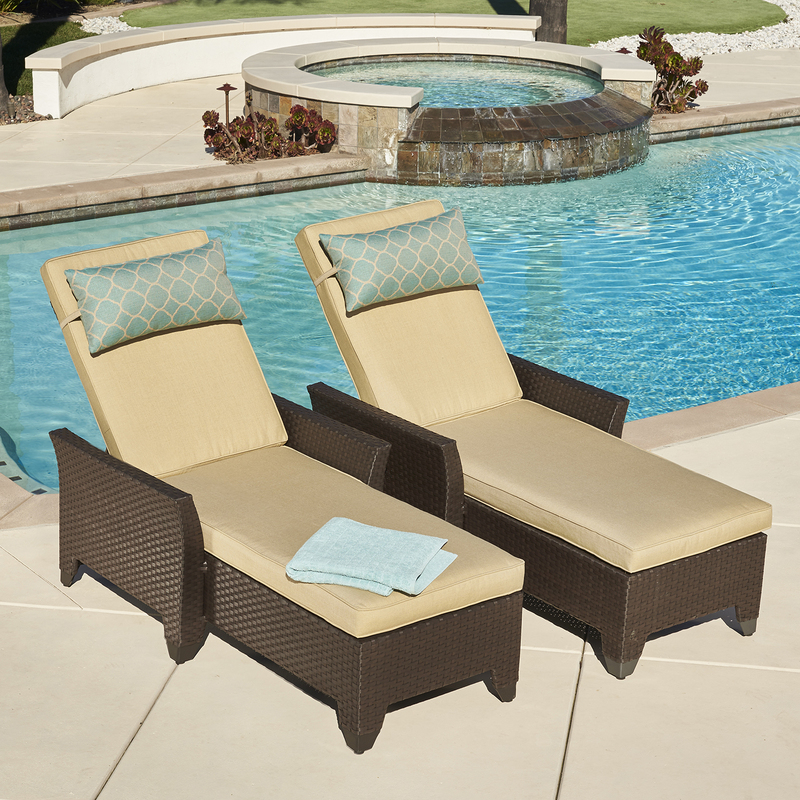 Each chaise lounge is generously sized and features 5-position adjustable backrests. Prop yourself up to read a book, or lay flat to lounge completely. 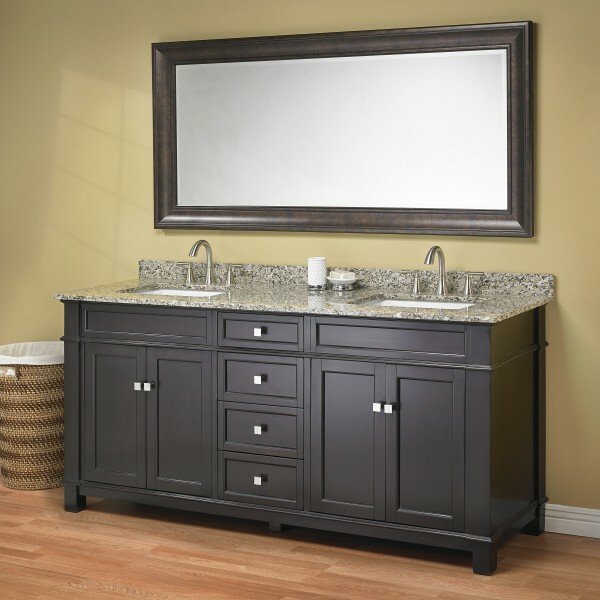 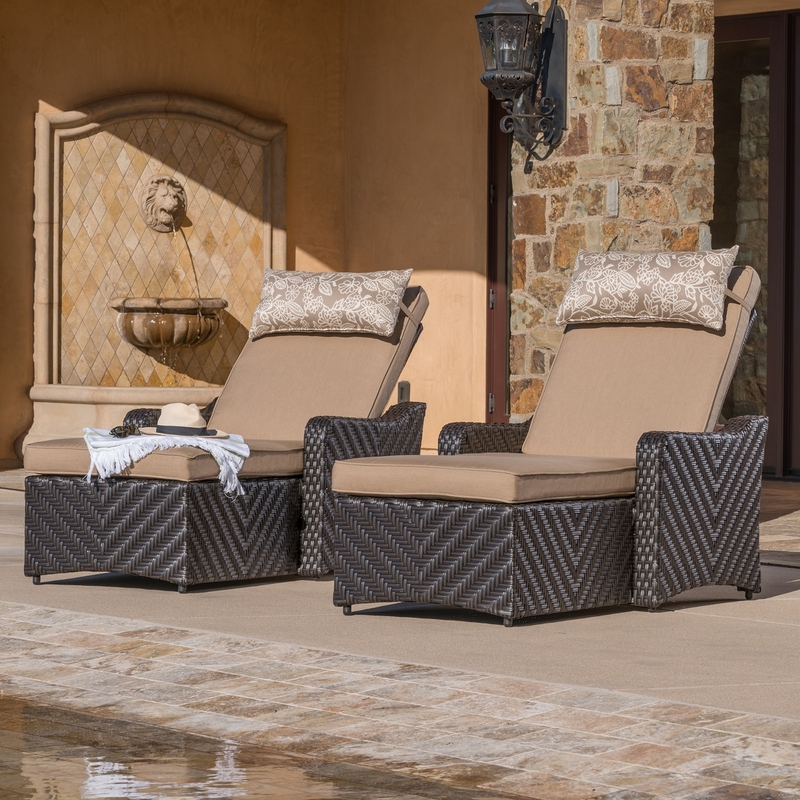 The Avalon Bay collection features hand-woven Multi-Brown resin wicker, with beautiful shades of brown throughout. 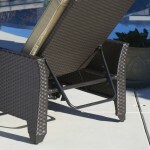 The all-weather UV-resistant wicker will look great year after year, and covers a sturdy powder-coated aluminum frame. The 2pk Avalon Bay Chaise Lounges include full length Sunbrella® upholstered cushions, and bolsters that can be used for lower back support or attached to the backrest as pillows. The main cushions are covered in Spectrum Sand, and the bolster pillows are covered in our exclusive Aqua Seaglass fabric. 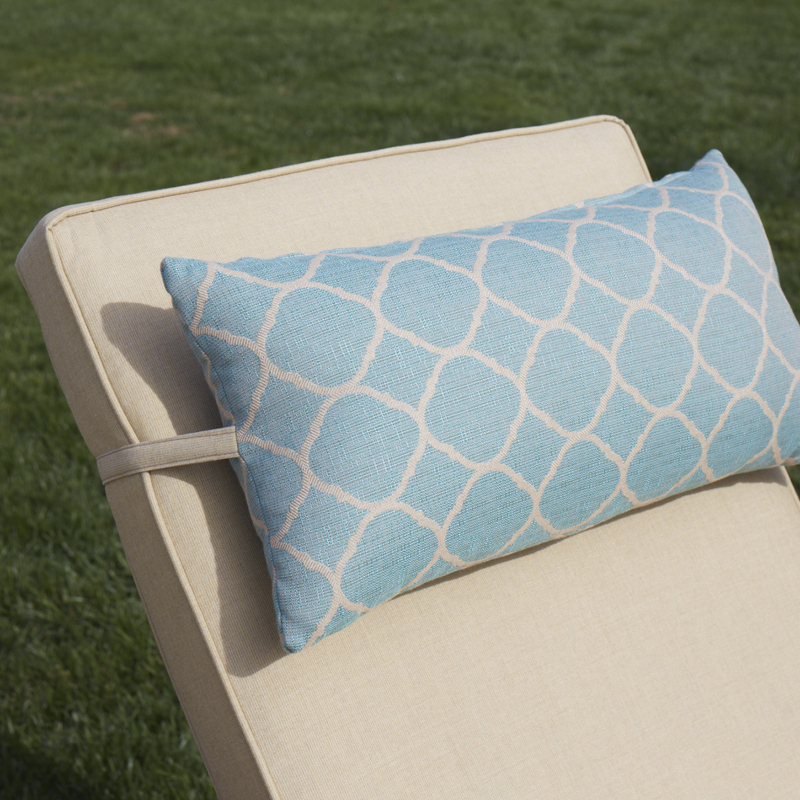 Made to withstand intense sunlight and mildew, this fabric is fade-resistant and easy to clean.